Traditional pool pumps have offered a limited number of single-speed and two-speed designs. Their motor speeds are set and unchangeable. These set speeds are almost always higher than required, thereby overpowering the jobs they are assigned to do, which wastes energy. What’s more, these pumps rely on induction motors that are notorious energy hogs. In fact, even so-called “energy-efficient” pumps can cost more to operate than almost all other home appliances combined. Pump-related electric costs typically total hundreds of dollars per year—and often more than $1,000 in areas with the highest energy rates. 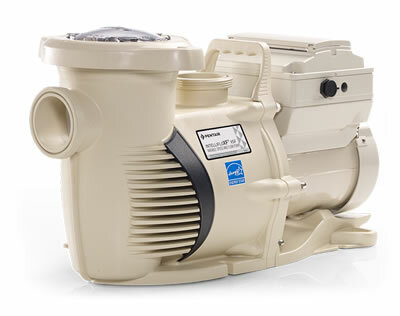 This Trade Grade product is an industry first in its ability to control both the speed and flow of the pool pump. This unique ability allows the pump to maintain a constant flow regardless of changes to pool conditions such as a dirty filter or full skimmer baskets. Setting a flow allows the pump to run at lower speeds earlier in the filter cycle and then ramp up speed to maintain the same flow later in a filter cycle. With this technology water features and pool equipment will always be working at their best because they will be getting the optimal flow. Up to 90% energy savings at an estimated $1,500 dollars a year. Ability to control either the speed of the pump or the flow. Automation ready, pairs seamlessly with Pentair Automation products. Quiet operation using a Totally Enclosed Fan Cooled (TEFC) motor. With this option of High Performance Variable Speed Pump you get both energy efficiency and peace of mind with a built in Safety Vacuum Release System. This intelligent pump has the ability to sense a drain blockage and automatically shut down the pump to provide a layer of protection against entrapment. With a variable speed drive you can program the pump to run an optimum speeds to achieve energy savings of up to 90%. Ability to control the speed of the pump for optimal performance. Built in SVRS provides a layer of protection against entrapment. 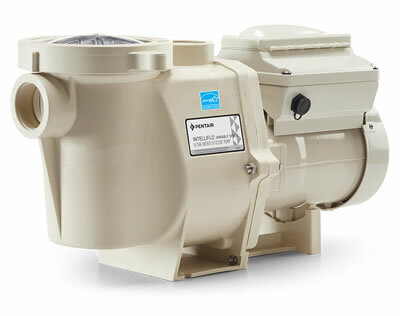 Built in diagnostics protect pump from overheating, running dry, and freezing. 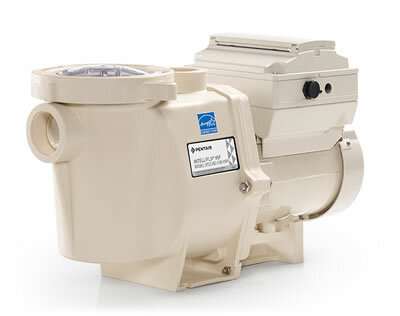 This Trade Grade product is an industry first in its ability to control both the speed and flow of the pool pump. This unique ability allows the pump to maintain a constant flow regardless of changes to pool conditions such as a dirty filter or full skimmer baskets. The IntellifloXF is of superior hydraulic design intended for large feature rich pools. The pump can accommodate high flow demands for water features such as negative edge pool, waterfalls, fountains, slides and more. Large volute design and 2.5” ports allow for high flow rates. Designed to run multiple features or large pool requiring high flow rates. Top mount (600lb.) 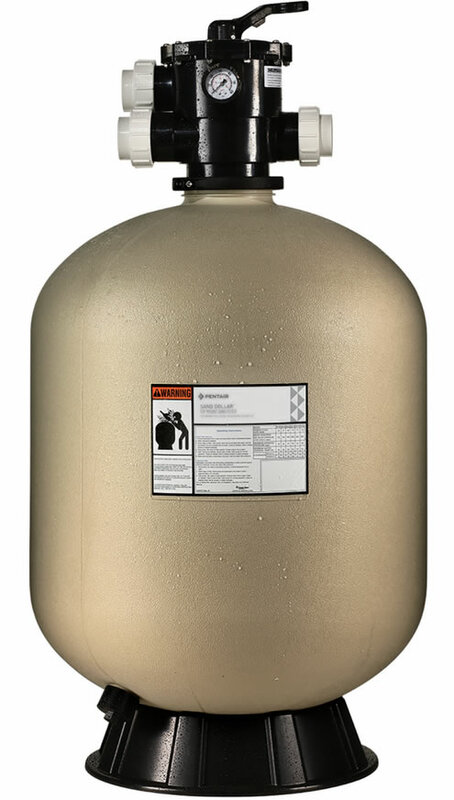 sand filter with the purchase of a Pentair high performance Intelli-flo pump. * Call for details.